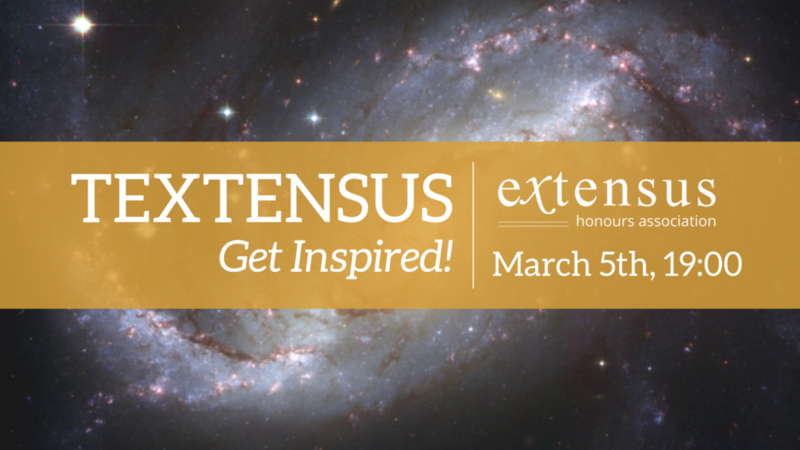 On March 5, Extensus is hosting its very own talks event: ‘Textensus’, inspired by TED talks. Listen to your fellow Extensus members talk about their passions or interests or become a Textensus speaker yourself. Curious about what keeps your friends at Extensus motivated? Do you want to listen to students talk passionately? Do you find learning about new topics and people’s journeys to success interesting? Then come to Textensus to inspire yourself and push your spirits high. Do you want to know what it would feel like to be in the shoes of Sir Ken Robinson, Amy Cuddy or Simon Sinek? Have you always imagined how it feels to talk on stage like a TED event speaker? Do you want to experience the exhilaration of being able to introduce your favorite topic to a large group of interested students? Do you have a passion you cannot wait to talk about? Or do you want to show-off your presenting skills? This is the opportunity for you to express your thoughts!